Established in 1931, this is the oldest Mennonite cemetery in British Columbia. No longer active. Photos courtesy of Doug Deschene & Jim McQueen . 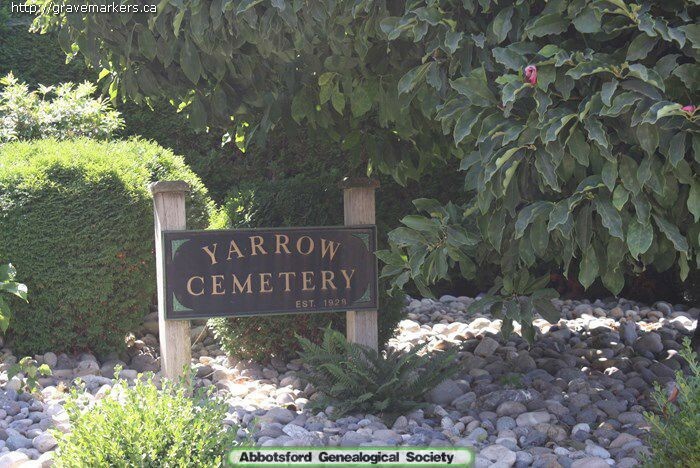 The Canadian Gravemarker Gallery and the Abbotsford Genealogical Society collaborated to bring these photos online. Thanks to Pat Confrey & Cheryl Tarbet for assistance.